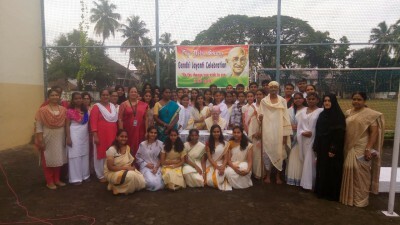 Gandhi Jayanthi was celebrated on 29th September 2018 with patriotic fervour and zeal. The school paid rich tributes to the Father of our Nation. Our principal in her speech advised the students to follow the principle of non violence, peace,harmony and universal brotherhood.The students enacted the Dandi March, an important event in our history. Students and their teachers cleaned their respective classrooms as a part of the celebrations.